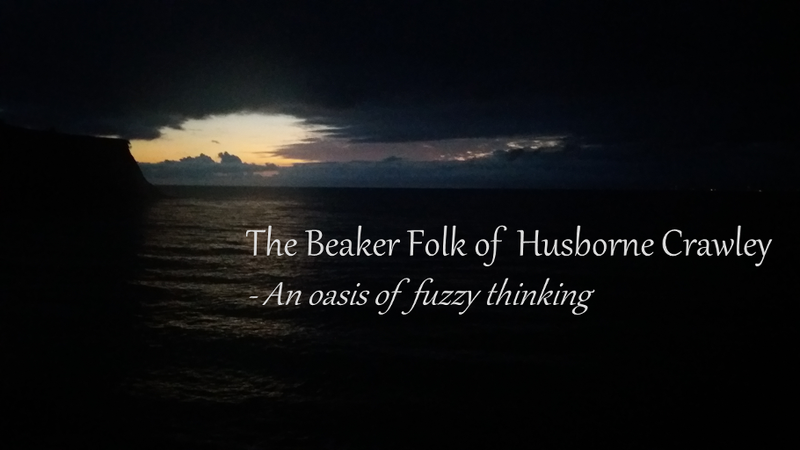 Beaker Folk of Husborne Crawley: 25 Ways to say "No" Without Saying "No"
25 Ways to say "No" Without Saying "No"
It's one of those great dilemmas of leadership. Knowing how to say "no" when someone comes with up their latest brilliant idea / calling / vision, without offending anyone. But if you just take your pick from this list of no-substitutes, you'll be able to obstruct progress without ever once appearing obstructive. I don't want to reject this out of hand. So I'll have to think it through first. Perhaps you could find somewhere else that they've tried this. And maybe join them for a while, so you can really understand it? I'd like you to bring this to the Annual Church Meeting. Coincidentally, we had one last week. We'll need to unpack this a bit. The people at this church are already attending an average of six services a week. When do you think they'll be able to make time for the Mission Service? It's such a great idea, we'll need a sub-Committee to consider it. Can you think of anyone this might upset? Anyone at all? Just in case. Well, maybe I can. I'm not against it in theory, but it would put obstacles in the way of re-union with the Ukrainian Orthodox. It sounds like a good idea. But I'm very busy. But why would you want to try a "messy church" when the Sunday Club only has two children? Who would go? At times like this, I ask myself what the Amish would do. I'm all for it. But some other people, now they're another matter. Where would we get the money from? Of course, when I say "we..."
I'm all in favour. In the interests of neutrality I'm going to have to fight it tooth and nail, of course. It's a great idea. But we'd have to do it on Wednesdays. I'm busy on Wednesdays. And I wouldn't want it to start without my being there. It's going to be getting it past English Heritage that will be tricky. It's such a brilliantly radical idea, we don't have anyone who would know how to do it. I don't want to sound like negative here. But. I'm glad you shared your ideas on your calling with me. It sounds very exciting. And let's not forget that making an alphabetical list of the gravestones in the churchyard is an exciting calling, too. It sounds great. But I'm afraid that this isn't notified Any Other Business. We'll have to bring it to the next Committee meeting. After the election. Which I have a feeling will be very closely-fought. I'm glad God's saying that to you. But it seems to me that what God's saying is "wait a while." Of course, with God "a while" can be a time. But then, patience is a virtue. Don't worry, I'm fine. It's just the war-wound. We'll have to discuss this after the major pastoral crisis that I can see unfolding just over there. This is brilliant. Would you mind putting that in writing so we can circulate it to everyone in the Diocese for a full and open discussion? As soon as we have 100% approval, we'll run with it. I'll pray about it and get back to you. We'll need to see what the other Churchwarden thinks about it. I'm afraid it didn't work the last time it was tried. Melvyn Bragg "is a southerner"